Spacious and quiet cabin. Impressive new manifold-in-head diesel engines. Passat GTE plug-in hybrid offers best petrol/hybrid range. Expensive. Initially no petrol engines. Doesn't have the badge appeal of its premium rivals. Vastly better with a manual box than with a DSG. 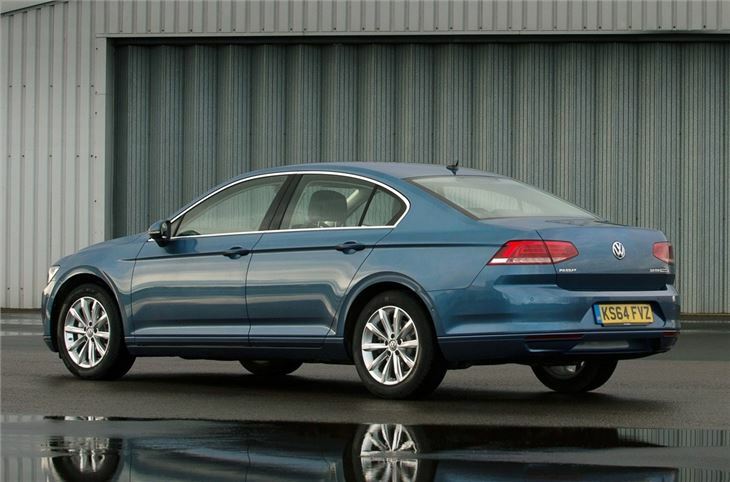 This Passat represents an ambitious leap forward, with Volkswagen attempting to push its mid-range saloon upmarket. 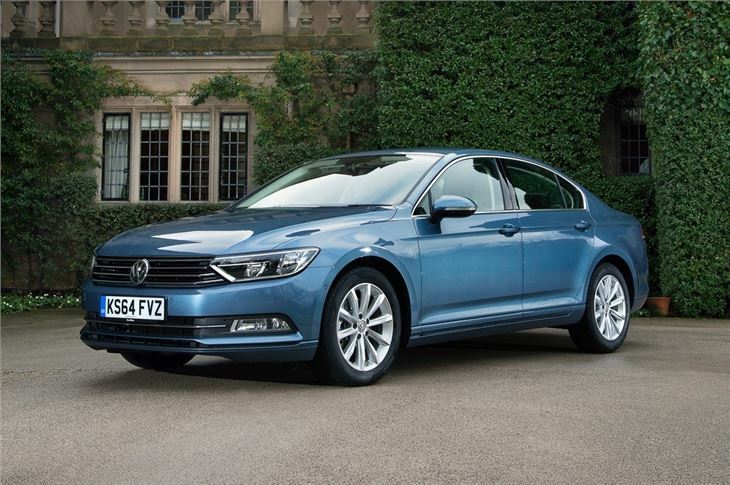 As a result, the eighth-generation Passat is a significant improvement on the model it replaces, with a sharper exterior, impressive all-round refinement, more space and improved economy. The Passat's updated range of TDI engines use less fuel and, for the first time ever, the model is available as a petrol plug-in hybrid, which will return a claimed 141mpg and emit just 45g/km of CO2. 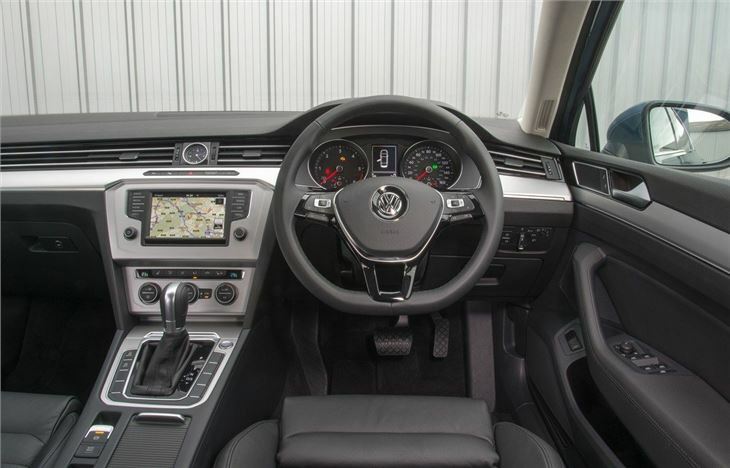 The Passat also gets revised gearboxes, with a six-speed manual gearbox fitted as standard, along with the option of a seven-speed automatic. 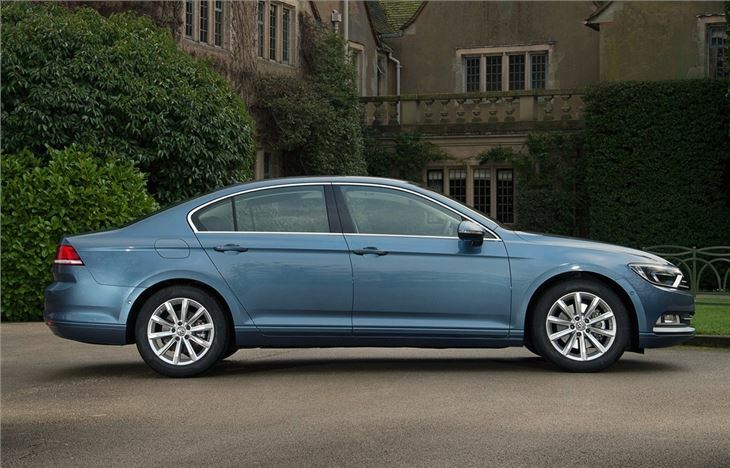 The styling retains the Passat's familiar overtones, but benefits from some executive upgrades, LED rear lights and a larger grille. There are also generous helpings of chrome, while the bonnet has been lowered to give the car a more aggressive front end. The Passat is actually shorter than the old model, but features a longer wheelbase, which means it has more head and leg room throughout. 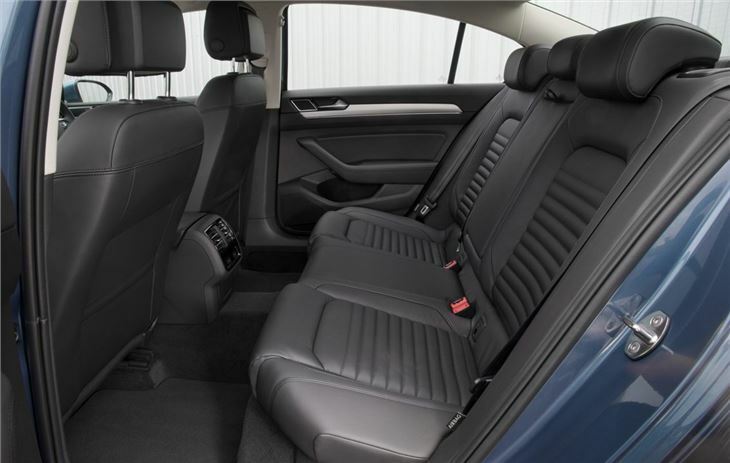 The interior reflects Volkswagen's premium ambitions, with a good fit and finish across the cabin. 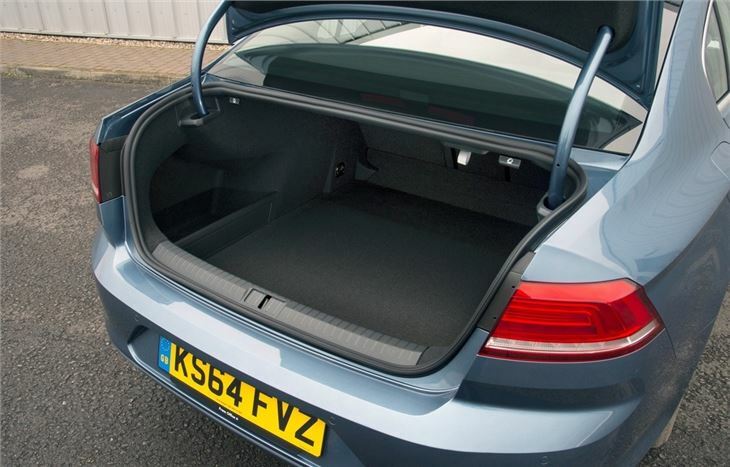 On the road the Passat is quiet and refined, with suppressed road and engine noise, although some of the lesser diesels can be a tad vocal, especially when pressed hard through the lower gears. There are four TDI diesels, with the range starting with a 1.6 TDI with 120PS. Volkswagen claims that the 150PS 2.0 TDI with 340Nm of torque will be the most popular. A 190PS 2.0-litre diesel is also available, with 400Nm of torque, while the range topping bi-turbo 2.0 TDI gets four-wheel drive and 250PS with 500Nm or torque. Emitting 140g/km of CO2, the bi-turbo is mated to a six-speed DSG and can cover 0-62mph in around 6.0 seconds. Optional features include a head-up display and the latest generation Park Assist which adds the option for the car to park itself forwards into perpendicular spaces. For caravans owners one useful extra is the Trailer Assist system, which gives assistance when reversing a vehicle with a trailer attached – without the need for any modification or adaptation of the trailer. All in all, the latest Passat is impressive, with good levels of refinement and notable improvements in fuel economy and performance. 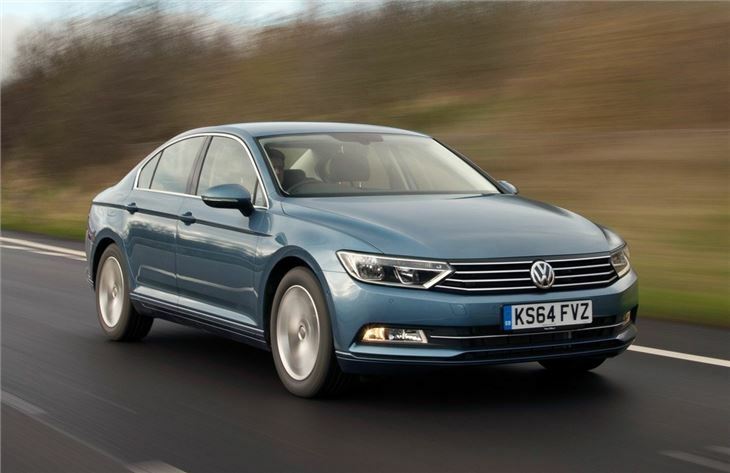 However, in raising its game, Volkswagen has also raised the Passat's prices and this will alienate some buyers, especially when you consider that cheaper rivals like Skoda, use the same platform, engines and running gear.